Cards like these were filled out for all Petrie’s excavations; this particular example comes from his work at Tell el-‘Ajjul in the British Mandate of Palestine. Pre-printed, they gave his excavators a guide to the sorts of information they should be recording about each burial – the position of the body, the type of tomb, its dimensions, and of course, what was in it. 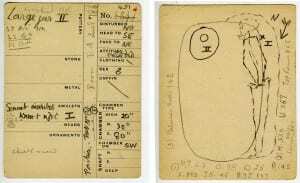 Special codes were assigned to different pottery shapes, which allowed them to record a lot of information in a small space (the cards are best described as ‘dinky’, measuring 11.5 by 9 cm). A project is currently underway to digitise these cards, and make transcriptions of all the information recorded on them. This in itself has proved something of a challenge, as the volunteers working with this material have to contend not only with deciphering often bewildering handwriting, but also with learning the various ‘in-house’ abbreviations and slang terms adopted by the diggers. Sometimes this leads to a strange mix of Arabic and English, as new hands on the dig struggled to learn the language of their workers, further mangled by personal transliterations of the sounds they thought they were hearing, with widely variant spellings. ‘Radim’, for example, came to be used for material that was in surface rubbish or found on the spoil heap. ‘Medower’, the Arabic for circle, was used to refer to pits (often circular). And ‘bilbil’ was adopted to refer to a particular type of juglet, which we now know was imported from Cyprus containing medicinal opium. Other perplexing terms, such as ‘NK’ and ‘NTH’ were eventually discovered to indicate that pottery was ‘not kept’ or ‘not (sent) to (the) house’ but discarded where it lay in the field. Usually this was done with large, cumbersome storage jars, showing a selectivity that would not be exercised today. 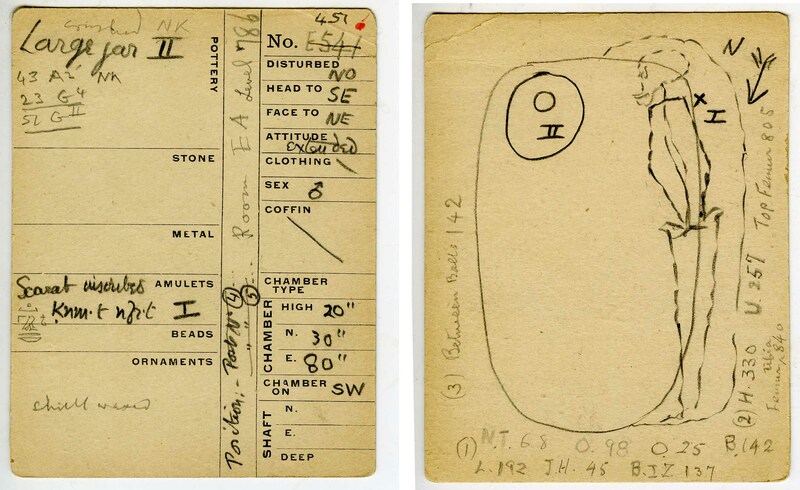 One intriguing entry on a number of cards is the note that some skulls had been waxed. The reason for their special treatment is never stated, but skull measurements had been all the rage in Petrie’s day and probably relates to his continuing interest in finding statistical ways to demonstrate ethnicity. This irksome task was carried out in the evenings by whichever member of staff could be persuaded to do it. They were then carefully stored in the ‘skullery’, where they were subject to the ministrations of the dig’s pet turkey, who had a tendency to lay her eggs amongst them. 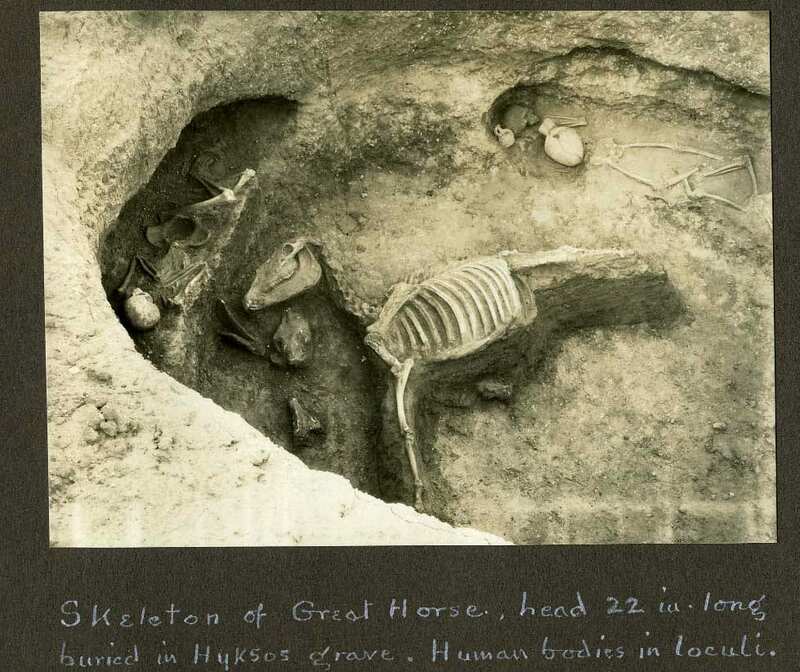 These skulls were later encountered by the archaeologist Veronica Seton-Williams, as she stayed overnight in the ‘Ajjul dighouse en route to Petrie’s excavations in Sinai. Her somewhat uncomfortable repose on the kitchen table was interrupted by the sound of monitor lizards knocking skulls off shelves in the adjacent storeroom. There is no record on whether waxed skulls were better than unwaxed ones in weathering this type of treatment. The fate of the skeletal remains from Tell el-‘Ajjul is not clear. 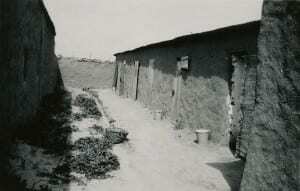 The dighouse itself was burned down in local disturbances during 1938, effectively bringing work at the site to an end. Whether the beautifully waxed skulls were still in the so-called ‘skullery’ at the time is not known. Some material was reportedly held by the Israel Antiquities Authority, but subsequently reburied, making it impossible to study it further. Petrie’s Palestinian tomb cards, and other archives belonging to the Institute of Archaeology are now stored in UCL Special Collections and can be viewed on request. The ultimate aim of the Petrie Palestinian Digitisation Project is to make images and transcripts of this material freely available to researchers online. M.V. Seton-Williams, 1986. The Road to el-Aguzein, London: Kegan Paul International. Drower, M.S. 19954. Flinders Petrie: A Life in Archaeology, Wisconsin: University of Wisconsin Press. Palestine Exploration Fund, unpublished Olga Tufnell archives. Did the skullery have a maid at all?